Brasil Distressed, the troubled-asset buyer also known as BrD, shuffled its partnership and said it plans to step up purchases this year.BrD aims to invest in as much as 1.5 billion reais ($460 million) in soured debt from mid-size Brazilian companies, two-thirds more than itbought last year, Carlos Catraio, a managing partner, said in an interview. The firm has purchased about 3 billion reais in debt since it wascreated in 2010.In addition, BrD named Marcio Fujita a managing partner to replace Jose Guilherme Lembi de Faria, who’s left the company, according toCatraio. Fujita and Catraio together own 68 percent of BrD. The remaining 32 percent was sold to Araba Comercio de Bens e ParticipacoesLtda., controlled by Portugal’s Lapa family.Small and medium-size companies are among the most damaged by Brazil’s two-year recession, with roughly 14 percent of their loansdelinquent or already restructured, according to central bank data from December, the most recent available. That’s up from about 11percent a year earlier. Data from Serasa Experian shows that 94 mid-size companies asked for court protection from creditors this yearthrough April, down from an all-time high of 149 in the same period of 2016. “The crisis generates potential raw material, but it also increases the difficulty of credit recovery because fewer companies are able tosurvive,” Catraio said. More firms have been repaying debts in the past few months as Brazil’s economy shows signs of recovery from thedownturn, the worst in the nation’s history, he said.That’s why BrD gave up on some sectors, including companies that provide heavy machinery to the construction industry, according toCatraio.“In this environment, like the rest of the credit market we became more cautious," said Fujita, who was named a managing partner inFebruary, according to his LinkedIn page.BrD’s purchases are typically in the range of 1 million reais to 30 million reais, and the company doesn’t buy retail portfolios or legalclaims, Catraio said. “We have also been buying offshore debt from Brazilian debtors,” he said. Distressed asset investors have been flocking to Brazil. Lone Star Funds, founded by billionaire John Grayken, is buying Apoema CapitalPartners, a Brazilian firm that manages about 4.5 billion reais in distressed assets, a person with knowledge of the matter said in April.Canvas Capital SA, backed by Credit Suisse Group AG, is raising a fund of as much as $600 million to invest in distressed corporate assetsin Brazil, people said in March.“We might consider joining forces with an international distressed player,” said Catraio, adding that no such talks are under way yet. Grupo BTG Pactual, the Brazil investment bank that slashed its workforce this year and sold off assets to survive a liquidity crisis, is back in expansion mode. Grupo BTG Pactual, the investment bank runby Brazilian billionaire Andre Esteves, is posting gains ondistressed assets as the market lures rivals including JPMorganChase & Co. and Canada’s Brookfield Asset Management Inc.BTG recovered part of the 418 million reais ($134 million)of non-performing loans it purchased from Banco Bamerindus doBrasil SA in 2013, according to Joao Dantas, BTG’s director ofinvestor relations. Additional profit is expected on loansprovided to Eneva SA, the Brazil utility that filed forbankruptcy protection in December, Dantas said in a phoneinterview in Sao Paulo. He declined to provide specific figures.“Although the environment in Brazil is challenging, we areoptimistic about the performance of our lending portfolio,”Dantas said. “We think we’ll be able to recoup value on creditsto firms such as Eneva, which had its recovery plan approved bycreditors in April and is now viable and generating cash flow.”Investors from Gavea Investimentos Ltda., the alternative-investment firm controlled by JPMorgan, to PeninsulaInvestimentos SA, the asset-management company backed by CreditSuisse Group AG, are entering the distressed-asset market inBrazil amid forecasts the economy will suffer its worstcontraction in a quarter century this year.Banks are reining in credit to corporations and individualsamid rising unemployment and record levels of late payments ondebt. Fallout from Petroleo Brasileiro SA’s corporate-corruptionscandal has also trapped suppliers of the company, known asPetrobras, in a credit squeeze. Alternative-asset managers such as Brookfield see anopportunity. The Toronto-based firm is providing 800 millionreais in financing for OAS SA, the Sao Paulo-based constructioncompany that filed for legal protection from its creditors inMarch. New York-based Cerberus Capital Management signed anagreement with Brazil’s RK Partners, which advises on distressedassets, and said in May it’s considering its first acquisitionin Brazil.The Bamerindus gains helped BTG double revenue fromcorporate lending in the first three months of 2015 and probablywill provide another boost in coming quarters, Dantas said. BTGhas its own credit-collection company, Recovery do BrasilConsultoria SA.Gavea, based in Rio de Janeiro, paid more than 100 millionreais for a minority stake in Paschoalotto Servicos Financeiros,Brazil’s biggest debt collector, which counts companies such asBanco do Brasil SA and Volkswagen AG as clients, according to aperson familiar with the matter. Sao Paulo-based Peninsula plans to raise a fund of as muchas 500 million reais to buy distressed corporate loans.BTG’s recovery on non-performing loans helped offset anincrease in the bank’s provision for loan losses, which rose to2.75 percent of total loans in the first quarter from 2.5percent at the end of last year, Dantas said.“We prefer to be conservative on provisions given theenvironment,” he said.BTG is the biggest creditor to Eneva, holding more than 1billion reais in face value of loans, after it acquired aportfolio of HSBC Holdings Plc’s loans to the company.BTG’s corporate-lending revenue fell by almost 50 percentin the fourth quarter after the bank set aside more money forbad loans. Esteves, the firm’s chief executive officer, saidthat the increase was mostly related to exposure to Eneva. “Our goal is to recover credit from Eneva and revert thoseprovisions, since the company is now generating energy and cashflow, and we plan to book it when the money gets back to us,”Dantas said.BTG also buys distressed credit from individuals. “There are a lot of buying opportunities right now amongsectors such as sugar cane, ethanol, auto parts, construction,logistics and car rental,” said Carlos Catraio, a partner andmanaging director at Sao Paulo-based Brasil Distressed, whichhas purchased about 1 billion reais of corporate debt since itsfounding in the beginning of 2010.“But when the economy is weak, it’s more difficult and ittakes longer to recover the credit,” he said, adding that non-performing loans from exporters such as soy producers aregaining value as the real weakens against the dollar, increasingrevenue from international sales.Brasil Distressed has posted annual gains on its portfoliothat are about double the nation’s benchmark interbank lendingrate, Catraio said. By Jonathan Levin(Bloomberg) -- Investors know times are tough in Brazilwhen debt-collection companies are among the best investments.That’s the case for Gavea Investimentos Ltda., the private-equity firm controlled by JPMorgan Chase & Co., which just madeits first investment of 2015 after raising $1 billion last year.The Rio de Janeiro-based firm paid more than 100 million reais($32 million) for a minority stake in Paschoalotto ServicosFinanceiros, Brazil’s biggest debt collector, which countscompanies such as Banco do Brasil SA and Volkswagen AG asclients, according to a person familiar with the matter.It’s not hard to see why it might be a good time to investin debt collection. Economists say Latin America’s largesteconomy is heading for its deepest recession in 25 years, andhouseholds are more indebted than ever before. PeninsulaInvestimentos SA, the Brazilian asset manager backed by CreditSuisse Group AG, said in March it was raising 500 million reaisto invest in distressed corporate assets.“That segment of the market is going to gain a lot offorce,” Pedro Paulo Silveira, chief economist at TOV Corretora,said in a telephone interview from Sao Paulo. “You’re going tostart to see a meaningful increase in unemployment and,therefore, you’re going to start to observe an uptick in debtdelinquency.”A Gavea official declined to comment on the acquisition. On August 27, 2014, the U.S. Bankruptcy Court for the Southern District of New York (the “Court”) issued a decision enforcing the terms of a Brazilian reorganization plan pursuant to Chapter 15 of the U.S. Bankruptcy Code. In re Rede Energia, S.A., Case No. 14-10078 (SCC) (Bankr. S.D.N.Y. August 27, 2014), ECF No. 35 (the “Decision”). Bankruptcy Judge Shelley C. Chapman rejected challenges by a minority group of bondholders who had alleged that the Brazilian Bankruptcy Proceeding was contrary to U.S. public policy. The Decision is favorable for foreign companies seeking recognition and enforcement of their foreign restructuring proceedings in the United States. 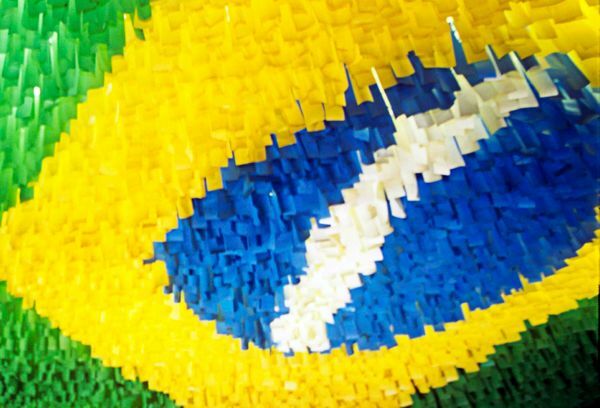 It also represents continued validation of the substantive protections and due process aspects of Brazil’s insolvency law regime, which underwent a major overhaul in 2005. Please click here to view our alert memorandum. Sue Lloyd, a member of the IASB, discusses the new accounting standard for financial instruments. This month the IASB finalised its project to improve the accounting for financial instruments with the publication of IFRS 9 Financial Instruments (2014) (IFRS 9 or the Standard). IFRS 9 completes our main response to the global financial crisis and brings together all aspects of the accounting for financial instruments—classification and measurement, impairment and hedge accounting. Together with these changes, information about financial instruments is enhanced by an accompanying package of improved disclosures.